IRAs have been a great way for the average American to plan for retirement since their creation in 1974. Due to their numerous tax advantages and simple management, IRAs have been very popular. There are several types of IRAs, each with their own particular benefits. However, what about those who want to take a more hands on approach to their retirement account? This is where the Self-Directed IRA comes in. You may have heard stories of investors who have sky rocketed their retirement accounts by using a Self-Directed IRA, and others who have lost money trying to do the same thing. With many investment options that are unavailable in other types of IRAs, Self Directed IRAs are a great choice for investors who want to be more involved in their retirement account. To set the record straight, we’re going to examine what a Self Directed IRA really is, and help you decide whether or not it’s the right choice for you. In a Self Directed IRA the investor makes all the financial decisions. This is a huge difference from other types of IRAs in which the custodian makes these decisions on behalf of the investor. This allows you to have greater control over your portfolio. If you want to accomplish something specific that isn’t available in other retirement accounts, this is your best bet. Also, Self Directed IRAs allow for much more diversification of your portfolio. There are many more options available to you than the stocks, bonds, and mutual funds typically offered in other IRAs. If you’re interested in a Self Directed IRA but already have another type of IRA, don’t worry, you can easily rollover your current retirement account into the Self Directed IRA. Now that we’re familiar with what a Self Directed IRA is, let’s take a look at what benefits it offers and why you might want one in the first place. The first thing that stands out about a Self Directed IRA is the level of control the investor has. As the name implies, the investor makes the investment decisions in a Self-Directed IRA. This is great for those who want to play a more active part in their retirement account, however, this could easily be a disadvantage to hands off investors. Stocks, bonds, and mutual funds can be purchased just like in any other IRAs, but Self Directed IRAs offer so much more. With a Self Directed IRA you will be able to purchase assets such as: gold, real estate, private companies, and mortgage deeds among other things. Because of the wide variety of assets offered, Self Directed IRAs offer a higher level of diversification than other retirement accounts. This will help protect your portfolio from inflation and market volatility. This is especially true if you invest in gold, which is known for performing well even during a financial crisis. Another reason why someone might want to use a Self Directed IRA is a higher rate of return. By making wise investment decisions, it is possible to see much higher returns. However, by making poor decisions it could backfire and set your retirement back. The key is striking a proper balance between risky high return investments and stable slow growth investments. While there are many advantages to having a Self Directed IRA, there are some disadvantages as well. First, Self Directed IRAs are subject to additional rules. 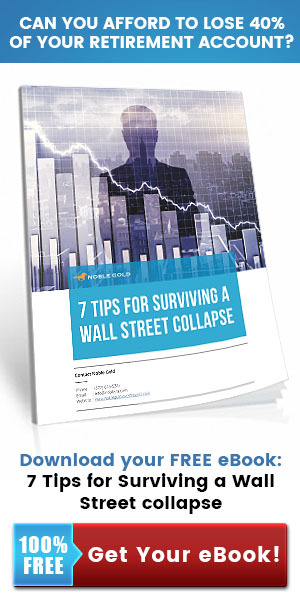 This could expose you to fees and penalties you would not have otherwise incurred. For example, it is against the rules to invest in any asset which one of your family members had prior ownership of. This is just one such rule, and the investor is completely responsible for following them. Another disadvantage is that some of the assets you will be investing in can be hard to value. While a certain rate of return can be assumed on traditional investments such as stocks and bonds, non traditional investments can be a little trickier to analyze. Ask yourself, would you be able to figure out the rate of return of funding a tech start up in California? Because of the greater amount of responsibility placed on the investor, this type of retirement account is not recommended for everyone. Ideally, an investor looking at a Self Directed IRA should be motivated to do his own research, and be willing to manage his portfolio as needed. a Self Directed IRA might be right for you if you are concerned about the financial markets or what they will be like in the future. The greater ability to diversify into assets such as gold will help your portfolio make it through a financial crisis. Those who want to have a Self Directed IRA are required to have a custodian. That is, the company that is holding the assets for you. Not all custodians are the same, so it is important to know what to look for. When choosing a custodian, find one that is trustworthy. Do your research. You want to look at how long they have been in business, how many clients they have, and what services they provide. Not all custodians offer the same services or specialize in certain investment types. So it is important to find out if they offer what you want before hand. 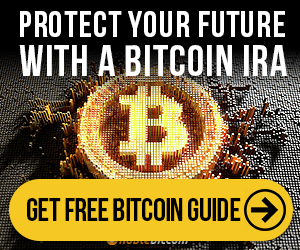 I Already Have Another Type of IRA, What Should I Do? Fortunately, if you already have a retirement account and would like to switch to a Self Directed IRA, you can. The process is called an IRA Rollover. It is important to note that the check should not be made out to you, but rather to the new custodian. If it were made out to you, they would have to make a 20% deduction in accordance with federal law. There are two types of rollovers, direct and indirect. With an indirect rollover the funds are sent to you, and you must then transfer the funds to your Self Directed IRA within 60 days. With a direct rollover, the funds are transferred directly from your old account to the new account. 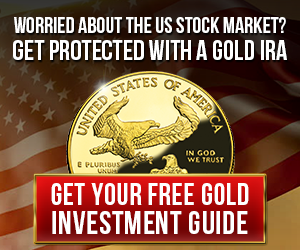 This is the case with Gold IRA rollovers, an excellent way to purchase and hold gold. Given the potential for mistakes to be made with an indirect rollover, it is best to do a direct rollover instead.